In addition to our spacious, fully-equipped suites, Candlewood Suites Miami Exec Airport – Kendall provides a variety of amenities and services to improve your hotel stay in the Miami area. Wake each morning in one of our spacious suites and enjoy a breakfast cooked in your very own kitchen or kitchenette! Head downstairs to enjoy a day lounging by our outdoor pool, or cook up a feast on our outdoor grill and enjoy it on our patio. Break a sweat in our fitness center before heading out for a day’s work, or ask our friendly staff for information on the top attractions in the area. Guests traveling to the area for work can take advantage of our hotel’s on-site business center during their stay with us, or host a meeting in our event space. Our hotel offers our guests a number of amenities and services designed to make their stay with us comfortable and convenient. 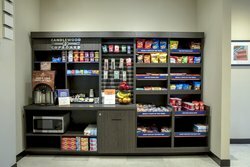 Learn more about our amenities below, and book your suite at the Candlewood Suites Miami Exec Airport-Kendall hotel today! 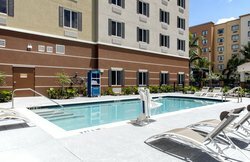 Take a dip in our outdoor pool! 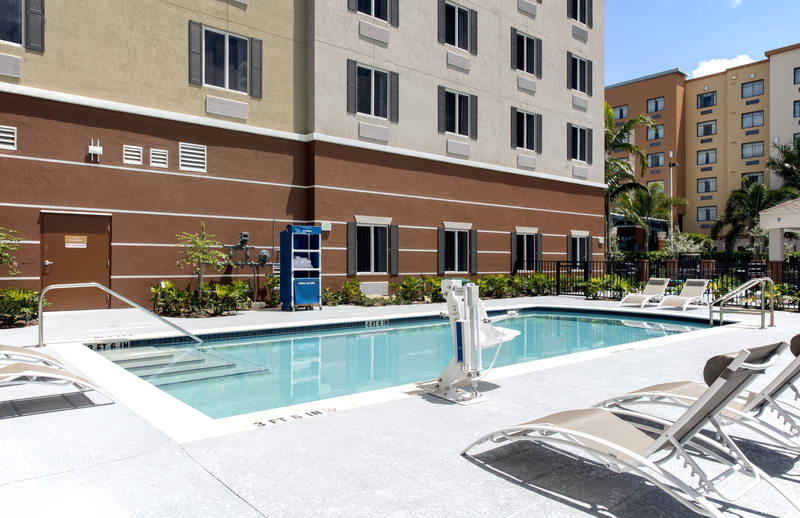 The perfect way to cool off during your Southern Florida getaway, our outdoor pool is surrounded by lounge chairs, perfect for taking a break and soaking up the sun. Our outdoor barbecue area is the perfect place to relax and unwind after a busy day spent exploring all the area’s top attractions. Rent one of our barbecues and grill up a delicious dinner to be enjoyed al fresco. 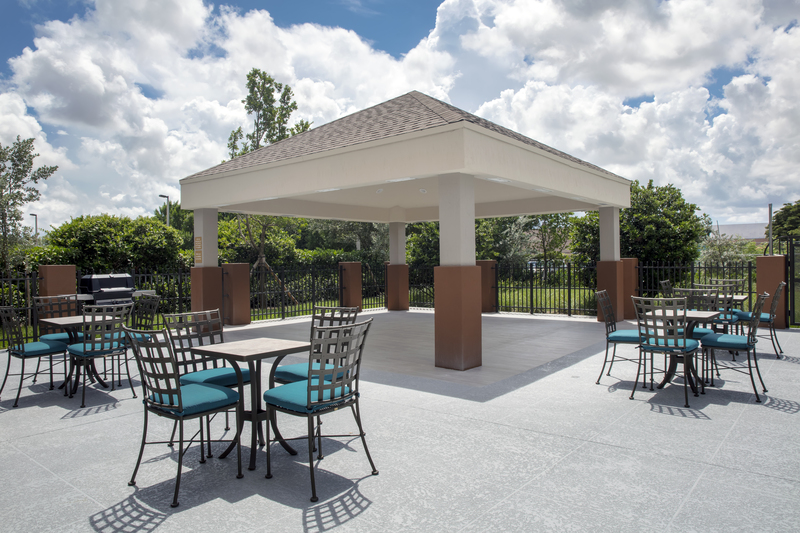 Our outdoor gazeebos and barbecues are open year-round. Book our meeting and event space for your next Kendall event! 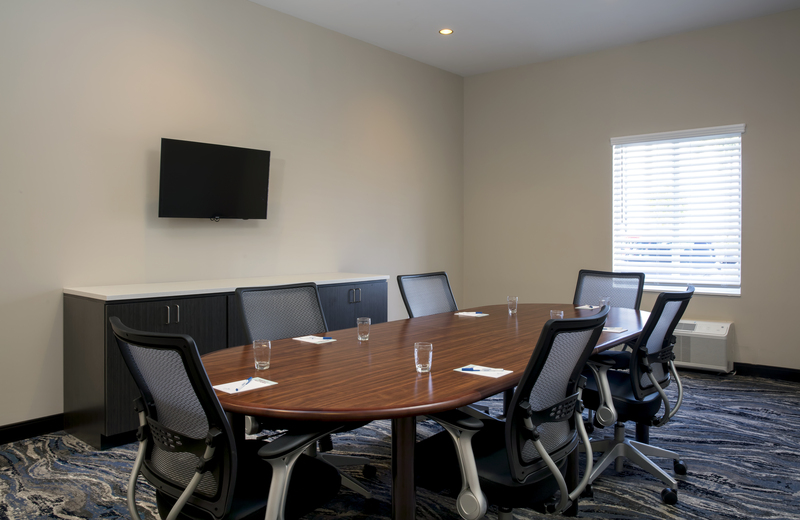 Guests can enjoy meeting room amenities like a desk, chairs, and AV equipment upon request. 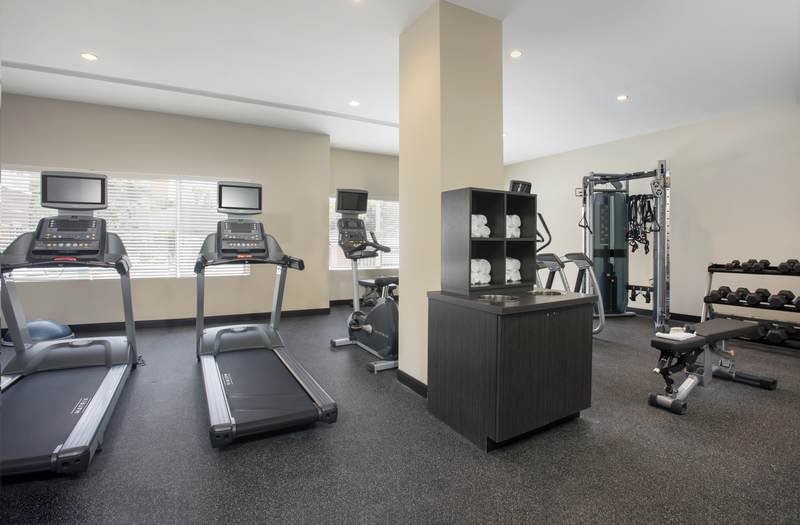 Unwind in our hotel’s modern fitness center! Featuring cardio equipment like treadmills and elliptical, in addition to exercise machines and a range of free weights, your fitness center is well-equipped wot ensure you have an efficient workout during your stay. 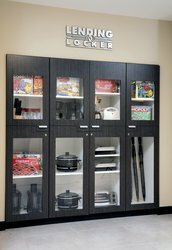 Need to borrow a blender, or want to play a board game with some friends? 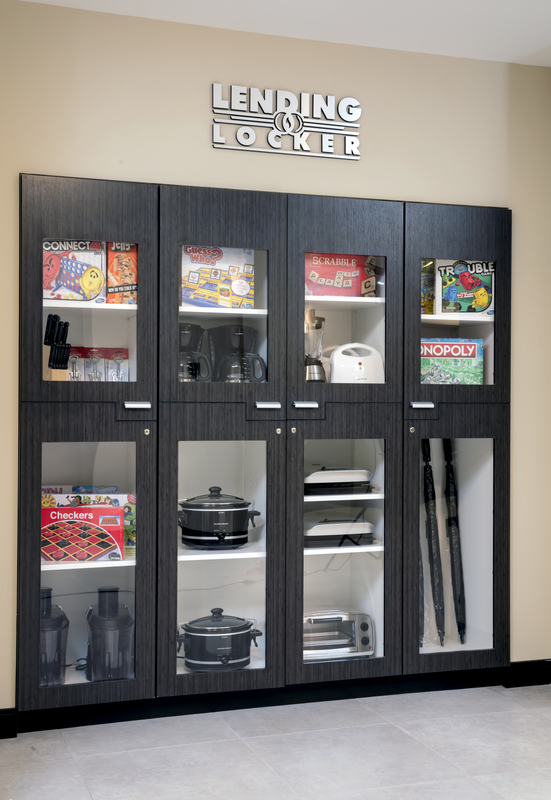 Our hotel’s lending locker has a ton of items you can borrow during your stay! Just ask the front desk for information on our lending policies.